View photos of our customizable More Space Place products here! Let More Space Place get you started. More Space Place creates efficiency where there once was chaos. Don’t settle for cookie cutter design from a big box office store. 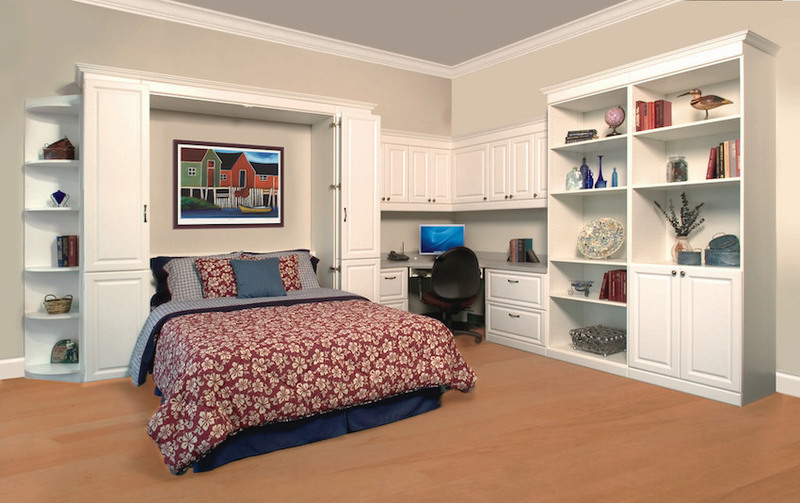 Let our experienced designers transform your home office into a room that works around you. Drawing from organizational expertise, our Design Consultants combine your functional requirements and personal style to create a custom design. We’ll start with our modular components then customize to meet your needs. We’ll custom design work surface, and we’ll plan for all the details – filing hardware, lighting and cord management. Productivity truly begins with organization. A More Space Place custom home office weaves efficiency and organization into a custom design that fits your way of working. 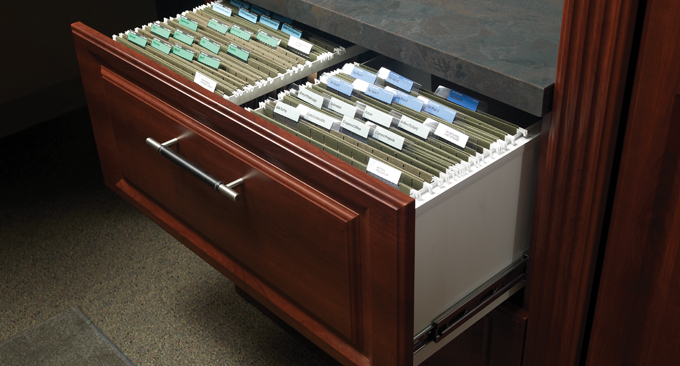 Start with ample desk space, deep cabinet storage, and shallow drawers to store frequently used papers or materials. From there we personalize the desk to craft a space that helps you work. Whether you need a bookshelf, wire routers for multiple monitors, lockable cabinets for important documents, or space to hang soothing art, we can create it for you. 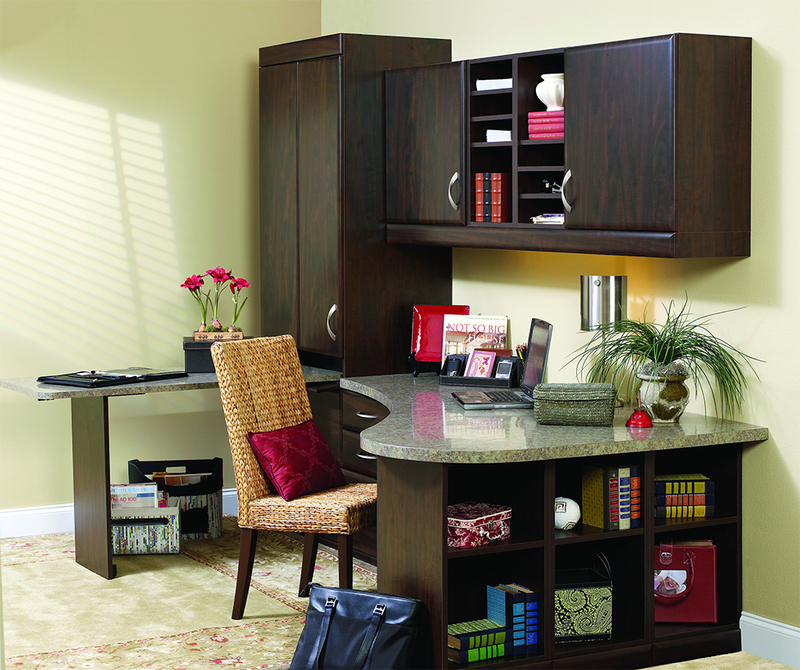 Allow us to help design a productive home office you will enjoy going to every day. Customize and make it fit your space. The More Space Place furniture and custom cabinetry product line is readily customizable to meet your practical requirements. Check out our industry leading selection of materials, door styles and finishes. Whether your preference is contemporary, transitional, or traditional, More Space Place can create the look you love. When guests arrive, the option of a wall bed like the Park Avenue and beautifully designed storage conceal and keep the office in its place. Choose from a variety of creative organization options and finishes. With More Space Place, creating the home office of your dreams is limited only by your imagination. Request a complimentary consultation or just stop by our showroom in Carrollton, Texas, to speak with one of our designers.